J D Neuhaus (JDN) has developed an innovative and robust new concept for controlling hoists and cranes. 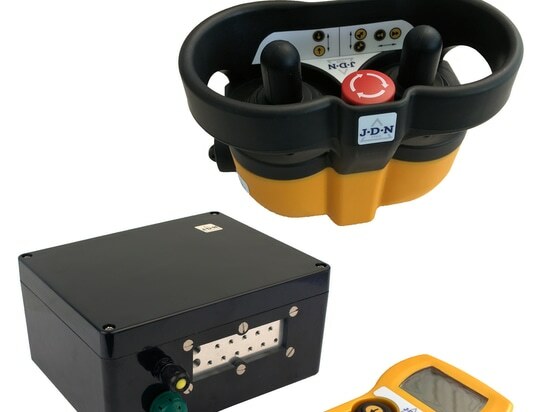 The company’s JDN-RC (Radio Control) receiver is designed for long-lasting performance in rigorous operating environments commonly found in industrial and offshore applications, including ATEX (explosive atmosphere) zone 2/22 conditions. 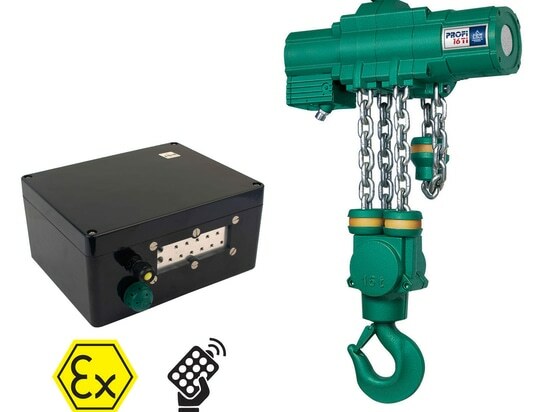 Featuring a solid and extremely compact receiver (w = 250 mm, d = 120 mm, h = 200 mm) to suit even hoists with low-carrying capacity, all components are accommodated in a shock-resistant GRP casing offering protection class IP65. This means that the device is totally protected against the ingress of dust, and can withstand low-pressure water jets from any direction, thus making it resistant to seawater in offshore applications. Breathable membranes are deployed to help guide any condensation from the interior to the exterior. The meticulously-designed device facilitates quick and straightforward installation. 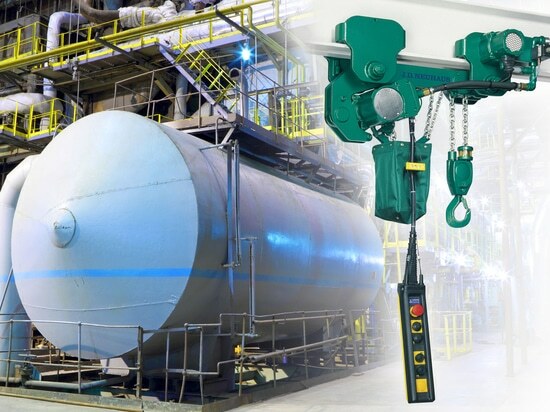 This is largely because the JDN-RC has been developed to help standardise hoist and crane control. As a result, the receiver can be mounted on the hoist or trolley, or at a separate location, in line with specific customer requirements. What’s more, the standardised interface on the JDN-RC means it can be offered as a retrofit solution for JDN’s existing product range, e.g. their industry-leading Profi air operated hoists. At the transmitter, single or two-step commands are supported by control elements that include a key switch, start and stop buttons, joystick, LED operating status display and LED low-voltage indicator. 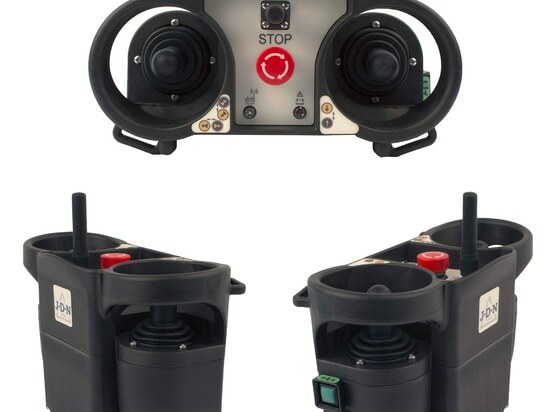 The JDN-RC control allows users to work at a safe distance from the load and take a better viewpoint during operations. 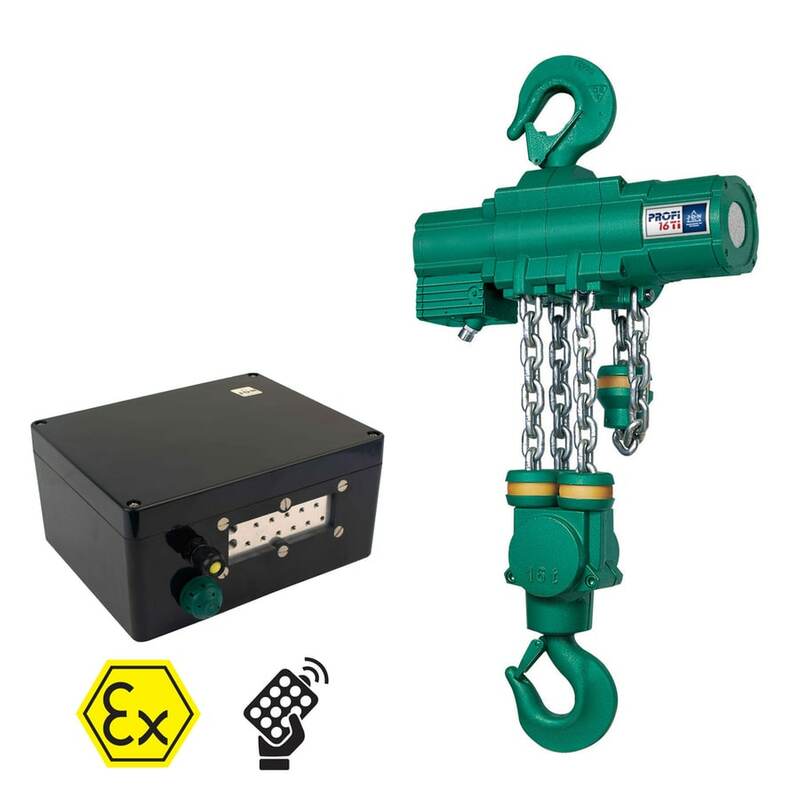 Here, the signal and selected command is transmitted and transferred into the controls of the crane or hoist by the receiver to ensure instantaneous performance. 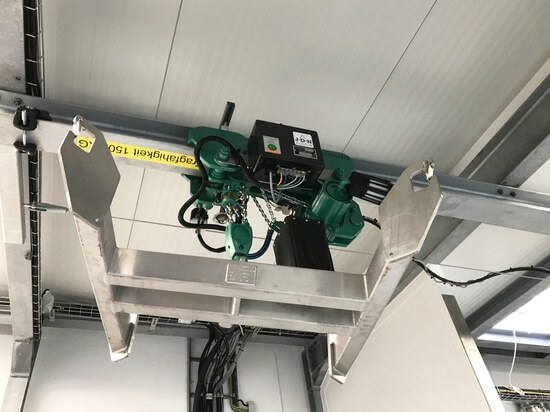 Ultimately, the JDN-RC is ideal for spanning long distances between the hoist and the operator, and represents a sensible alternative to applications demanding a long control hose. The design also facilitates use in hard-to-access locations, while multiple hoists can be controlled simultaneously if required. A charger for the external battery and a leather strap are supplied with every unit. 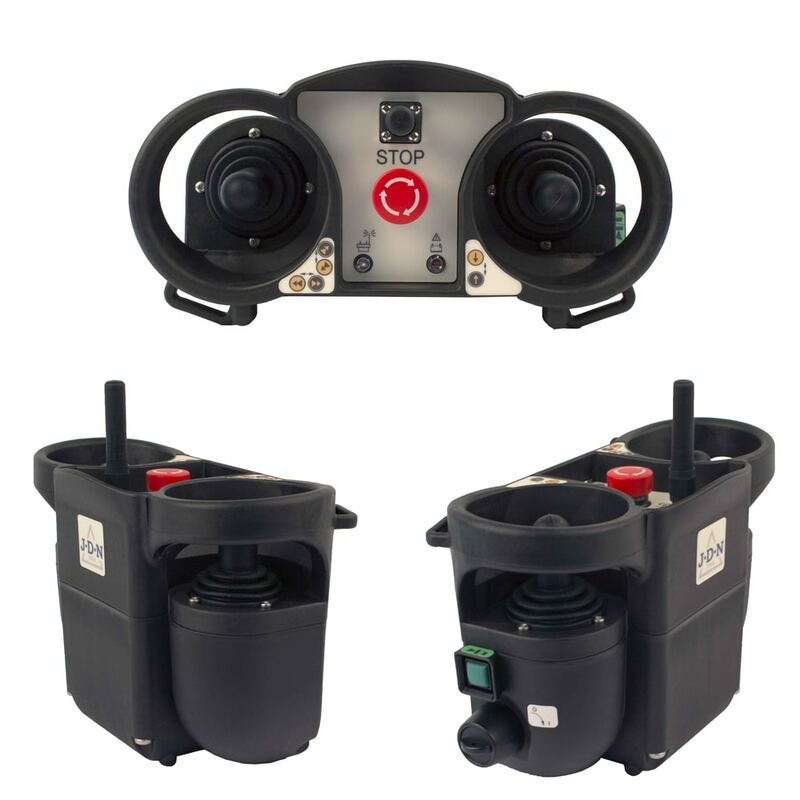 Both the transmitter and control receiver are rated for operation within the toughest of working conditions and are insensitive to dust and humidity. The transmitter has a working temperature range of -20 to +55°C whilst the receiver operates within a -25 to +55°C range. A transmitter Ex classification is provided of Ex II 3G Ex ic IIB T4 Gc and Ex II 3D Ex ic IIIC T95° C Dc for zones 2 and 22 respectively and Ex II 3G Ex nc [ic] IIB T4 Gc (zone 2) Ex II 3D Ex tc [ic] IIIC T135° C Dc (zone 22) for the receiver. 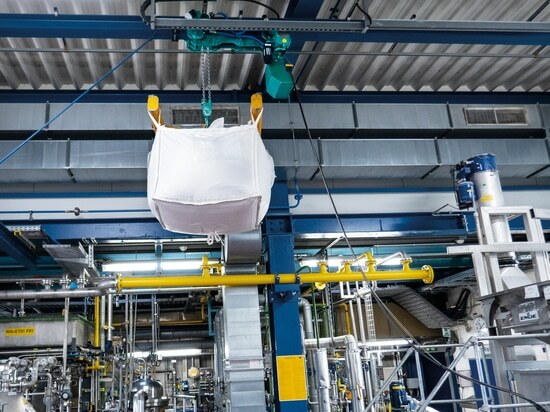 With over 200 employees across the group, J D Neuhaus manufactures pneumatically and hydraulically-operated hoists and crane systems up to 115 tonne capacity from its state-of-the-art facility in Witten, Germany. This globally unique specialisation means that J D Neuhaus has set the quality standard for the market, a move that has seen the company become the established global leader in its technology field with customers in more than 90 countries worldwide. Resilience and reliability are the key product differentiators, thanks largely to their explosion protection rating which makes them ideal for use even in the most challenging of operating environments. Extreme applications include oil and gas exploration in arctic temperatures as low as 45°C, along with underwater tasks such as ship hull repairs, and plenty of others in demanding sectors like mining, the chemical industry, heavy plant construction and many areas of logistics. The wide portfolio of services provided by J D Neuhaus includes equipment assembly, inspection, maintenance and general overhaul, along with the supply of customer training courses. Over 80% of production from the Witten plant is exported, which is why the company has long-established subsidiary companies in France, Great Britain, Singapore and the USA, all of which have helped create a tight-knit global network in collaboration with international partners.